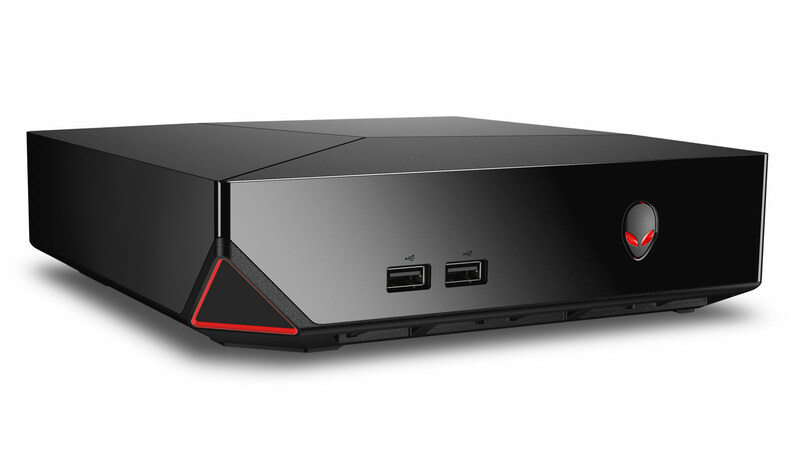 So you just purchased Alienware Alpha or are thinking of buying an Alienware Alpha, great! The Alienware console is really an amazing piece of technology for the price and size. However, if you are like me, you want to upgrade it as soon as possible (not that it needs to be upgraded). Hopefully by reading this you won't make mistakes that some people make when upgrading this gaming pc/console. If you haven't bought one but are thinking of buying one, get the base i3 model and I will explain why it will save you money. First off there are only a couple things you can do to increase frame rate. This is due to the GPU, which probably could, but shouldn't be upgraded. Even when you upgrade the components as much as possible you will only gain around 10 fps at the most.That being said, there are still benefits to upgrading. RAM - One of the single most important things you can upgrade is the ram. 4gb of ram just isn't enough to play some the more demanding games. 8 - 16gb is recommended even though 16gb may be a little overkill. Note: You must use DDR3L or it won't work. The reason is because the Alienware Alpha is a low power gaming system. Avg cost to upgrade: $57.99 for 8gb more ram. SSD - The second most important thing to upgrade is the HDD to an SSD. The HDD that comes with the Alienware Alpha is literally the worst. The only reason why I think they chose the HDD that they did was to keep the cost low. If you like to wait for long periods of time for games to load then this is the hard drive for you. The Solid State Drive cuts load times easily in half. Not to mention downloads seem to be a lot faster with the SSD but I can't confirm that. Note: Needs to be 2.5" by 7mm although some people have said 9mm will work as well but I wouldn't risk it. Avg cost to upgrade: As low as $98.99 for a 256gb SSD, $169.99 for a 480gb SSD, and $300 for a 1tb SSD if you feel that you need that much. This is a great video on how to upgrade both the SDD and Ram! CPU - There is really only one reason to upgrade the cpu and that is for PC performance and not really gaming performance. Because you have to use a CPU that runs on low power the benefits of upgrading the CPU are negligible. If you use let's say a i7-4790K, which is a really nice CPU, because it requires 84w of power instead of the 35w the i3-4130T requires, it will be limited or "Underclocked" if you will. What that means is that the CPU's that require more power end up being limited to around 2.9ghz. If you must have the best CPU then it would be best to go with the i5-4590T or the i7-4765T versions of the Alienware Alpha. Avg cost to upgrade: $200 - $350 depending on the CPU. In my opinion, and I know a lot of people feel this way, if you are going to get the Alienware Alpha console get the base i3-4130T model and only upgrade the ram and hdd to ssd. If that isn't good enough for you then I would say don't waste your money on the higher end Alphas and build your own gaming pc. People say, "well for $600+ (including upgrades) I can build my own." To those people I say, go right ahead but when you end up with a big bulky power intensive PC that puts up the same performance realize you could have the 4lb 2.7" x 7.87" x 7.87" Alpha for the same price. What really makes this pc/console worthwhile for me is how easy it was to upgrade, the small form factor, price point for a gaming PC. Also, if anyone has used tools like PC Part Picker, then you know the little things add up. The alpha comes with Wi-Fi, Bluetooth, Xbox 360 wireless controller & USB adapter, and windows 8.1. While things like this don't seem like a very big deal it really does add up when you add it the rest of the list of parts you have to buy. One of the only things I think Alienware messed up on was not including a 3.5mm audio out. As a gamer I like to use a gaming headset and not having a 3.5mm audio jack is a bummer. Luckily, if you have a monitor with an audio jack you can us the audio from the HDMI for sound to use for your headphones. It's a pain, but it works. What I have to remind myself is that is was meant to be a gaming console which is why it doesn't have the audio jack and instead HDMI. You could also use a Bluetooth speaker but I wouldn't recommend it. In conclusion, I would say the Alienware Alpha is worth the money especially if you are just starting out. Also, getting the base model and upgrading it is the way to go. I have yet to play a game where I didn't get at least 30+ fps with medium to high settings depending on how demanding the game is. if i buy the base model can i take it straight out of the box and upgrade it with the ssd and x2 8gb memory chips? would the alienware alpha be just as good as the more expensive consoles? do you know which alpha it would be equivalent to? i plan on buying the 480gb ssd and 16gb ram. will this allow me to play any game smoothly with the highest graphic setting? As far as how it will compare to consoles, well it depends. Generally speaking, games for consoles are heavily optimized to run on the specific hardware that the consoles have. PC games are very rarely optimized, if ever, for specific PC setups. Having said that, usually PC games on slightly lower settings at 60fps look a lot better than their console counterparts. It will perform well in most games, but don’t expect to have settings maxed out with the base model. In fact, I would recommend at least the 6th gen i5 model because of the newer generation cpu and 4gb GTX 960. With that CPU and GPU you should have no problem running games at high settings at around 60fps. The only downside to that is that it’s about $200 more expensive. 16gb of ram will most likely be overkill for games. You could get away with the 8gb that the i5 model comes with. 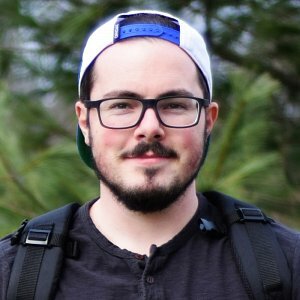 If you do decide to get the Alpha make sure to get the Windows 10 version instead of the SteamOS version so you can use it as a computer as well. What’s the pin count for the ddr3l? @Mike The Alpha has slots for two 204 pin DDR3L sodimm memory. I’m leaning towards purchasing the base model Alpha with the i3-4130T. I’ll likely never bother upgrading the CPU, but was wondering are you limited to using a 4th gen processor in this model, or would a newer generation be compatible? Also, the unit now comes with a 7200 rpm HD. Obviously it’s still nowhere near as fast as a SSD, but would you expect it to be livably fast, as opposed to the older model’s 5400 rpm drive? I want to limit the money I put into it, so I’m thinking an 8gb ram upgrade when a deal comes on is as far as I’ll go. The whole idea behind buying this is getting a bang for buck PC on the cheap, but I want it to be fairly functional. @Luke first things first, the CPU will be limited to 4th generation cpu’s because of the socket size. If there is any doubt in your mind that you would want to upgrade the cpu in the future then buy the model with the better cpu now. It will cost you more in the long run if you upgrade later. The better cpu will help out a lot with cpu intensive games and will provide better performance if/when you use it as a computer. If you only decide to upgrade one thing, I would upgrade the ram to at least 8gb. The only real difference the SSD will make is faster startup times and slightly faster loading times for games. Since you are wanting the “best bang for your buck” I would skip the SSD for now. Hello I would like to say that I have bought one of these alphas and it’s amazing..it really is..the bang for your buck can’t be matched. My only issue is when I bought mine there was not an r2 model. The gpu in the r1 is a 2gb over clocked 860m..it will run most titles on high with playable frames but the newer r2 has a 4gb full size 960..somehow cut down to fit in the alphas small size..I would have to say that’s the way to go. And if I’m not mistaken I believe the r2 also has a slightly better hdd…7200rpm v 5400rpm..neither will give u loading times anywhere near as fast as a ssd but still even a little faster is something.. I no this article is old but still a good read! I bought the Alienware Alpha R2 desktop about 6 months ago, and now I want to upgrade my RAM from 8 GB to 16. I’ve spoken with 2 Dell assistants that have told me it is impossible to upgrade to 16GB of RAM because there is only one DIMM slot. I don’t do heavy gaming…I play Second Life, and when I do, it uses around 87% RAM and sometimes slows to a crawl if I have a browser window open. I know very little about computers so I am wondering, can I really upgrade the RAM and how do I do it? What do I purchase? Thank you in advance, for any help you can give. @Leah Thanks for your comment. You can upgrade the ram in your alpha. I don’t know why they decided to go with only one dimm slot in the newer alphas. With only one slot it means you would have to buy a single 16gb DDR4 sodimm stick of ram. I would suggest this ram: http://amzn.to/2wxRX1C They go for around $130. To upgrade the ram all you have to do is remove the case, remove the fans, remove the old ram, and insert the new ram.